Calvin W. Franklin was born on January 27, 1934 in Lookeba, OK to Clifford and Fern (Bartel) Franklin. He passed away on March 20, 2019 at his home in Lookeba, OK at the age of 85. Calvin graduated from Lookeba High School and from OSU in Animal Husbandry. He also graduated from ROTC as a 2nd LT, attended officer Training School in Denver, CO. 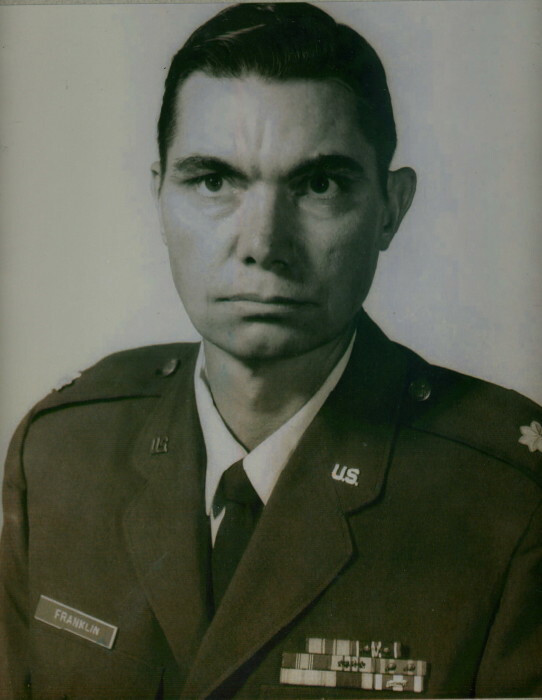 He served for 20 years in the US Air Force, and served in Avionix Squadron during the Vietnam War. He married Lucille Marie Neighbers on August 15, 1954 at Calvin's parents farm in Lookeba. He was a member of the Lookeba Methodist Church. He was preceded in death by his parents, Clifford and Fern Franklin, and his wife, Lucille Franklin. Survivors Include: 4 children, Carey Wayne Franklin and Anita of Lookeba, OK, Clifford Wayne Franklin and Celia of Lookeba and Hydro, Cecile Marie Hobbs and Tommy of Lookeba, OK, Kristan Gail Johnson of Anadarko, OK, grandchildren, Jennifer Williams and Charlie of Binger, OK, Christy Booze and Jonah of Thomas, OK, Vanessa Gail Delno and Anthony of Hinton, OK, Kari Lynn Burks of OKC, OK, Tammy Vardarmis and Jack of Gallington, TN, Jaryn Wayne Johnson, of Anadarko, OK, Jessica Johnson of Anadarko, OK, and Gina Harrison of Anadarko, OK, great grandchildren, Gracie, Clover, MaKenzie, Sandra, Andrew, Korban, Aubrie, Kady, Alex, Jack, Sealee, Saire, Colton, Essence, and Blane, great great granddaughter, Adelin, as well as a host of nieces, nephews, cousins, other relatives and friends.